The mainstream political parties in Kashmir on Monday urged the high-level team of the Election Commission of India (ECI) to order simultaneous elections for the state assembly and Lok Sabha. A high-level delegation of the Election Commission of India (ECI), led by Chief Election Commissioner (CEC) Sunil Arora, arrived at Srinagar on a 2-day visit to J&K for consultations with various political parties, state administration and other stakeholders ahead of the upcoming elections. A delegation of the CPI (M) urged the election commission to hold simultaneous elections for the Lok Sabha and the state assembly as “uncertainty” has been created without an elected government in Jammu and Kashmir for the past nine months. A delegation of the party, led by Mohammad Yousuf Tarigami, met the ECI team that arrived in Srinagar on Monday morning to assess the situation. The team will come to Jammu on Tuesday. The CPI (M) delegation apprised the ECI team that Jammu and Kashmir is without an elected government for almost past nine months and in the absence of an elected government, uncertainty in the state is deepening day-by-day and dissatisfaction among a large section of people is increasing. The only effective response to this situation is to initiate a democratic process and hold elections to Assembly and Lok Sabha simultaneously. Any delay to do so will hamper the process of improvement in the situation, the delegation said. Election Commissioners, Sushil Chandra and Ashok Lavasa, Deputy Election Commissioner Sandeep Saxena, Director General ECI Dilip Kumar, ADG Sheyphali Sharan, Director Nikhil Kumar, Chief Electoral Officer J&K Shailendra Kumar were present during the meeting. National Conference (NC) delegation was led by party General Secretary Ali Mohammad Sagar. Peoples Democratic Party (PDP) delegation was led by party Vice-President Abdul Rehman Veeri, Indian National Congress (INC) delegation was led by senior party leader Taj Mohi-ul-Din, Bharatiya Janata Party (BJP) delegation was led by its state Vice-President Ali Mohammad Mir, Communist Party of India CPI (M) delegation was led by MY Tarigami, People Democratic Front (PDF) delegation was led by Hakeem Mohammad Yaseen, Democratic Party Nationalist (DPN) delegation was led by Ghulam Hassan Mir, National Panthers Party (NPP) delegation was led by state General Secretary Manzoor Ahmad Naik, Bahujan Samaj Party (BSP) delegation was led by state General Secretary Mushtaq Ahmad, CPI delegation was led by state Secretary Ghulam Mohammad Sheikh, Nationalist Congress party (NCP) delegation was led by state Vice President Saif-ud-Din Khan, and Awami Itihad Party (AIP) delegation was led by the party President Abdul Rashid during the consultations with the ECI team. The CEC gave a patient hearing to their concerns and assured that they will be taken care of in the due process of time. The ECI team also held a marathon meeting with the civil and police officials, including Divisional Commissioner Kashmir Baseer Ahmad Khan, ADGP Law & Order Muneer Ahmad Khan, IGP Kashmir SP Pani, Deputy Commissioners and District Police Chiefs of Kashmir and Ladakh divisions. The ECI team reviewed the state of preparedness of various departments of civil and police administration for ensuring free and fair elections. The Commission asked the state authorities to provide minimum assured facilities at polling stations and ensure that voters are able to reach the stations without any fear or hindrance. The CEC also reviewed the preparedness in terms of transportation of EVMs and polling material to the booths and deployment of staff on the day of the election. 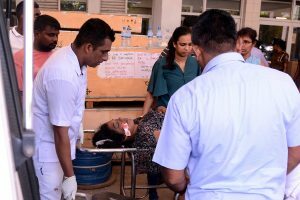 The Commission asked the state authorities to mobilise people and create inducement-free and intimidation-free atmosphere by ensuring a sufficient number of security persons on the ground. The Commission stressed upon the state authorities to ensure that the expenditure by candidates during the election process is monitored to prevent any illegality. 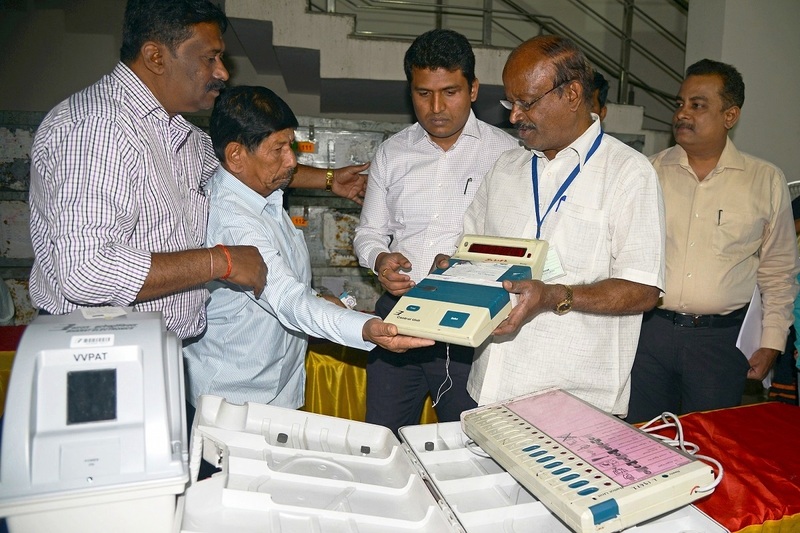 “The limit of expenditure is Rs 70 lakh for Lok Sabha election and Rs 28 lakh for state assembly election,” Deputy Election Commissioner Sandeep Saxena said, adding that action would be taken against those indulging in the inducement and illegal gratification to voters. The Commission asked the state administration to conduct operations on EVMs and VVPATs in the presence of stakeholders such as political parties and candidates to ensure transparency. “You should share location of strong-rooms with stakeholders/parties/candidates to prevent any suspicion.” Saxena said. The ECI team reached Jammu on Monday evening where they will be conducting a similar exercise on Tuesday. In addition, the ECI team will be also meeting Chief Secretary BVR Subrahmanyam and DGP Dilbag Singh separately in the winter capital.